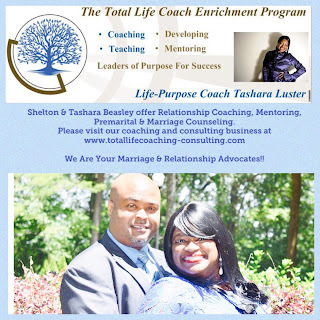 The Total Life-Purpose Coaching Enrichment Program is about living your Maximized Life! You deserve to live a total life of purpose with great success, significance, satisfaction, balance, and meaning. Contact us today and let's get you started on living your Total Life with the assistance of a personal life-purpose coach! As your coach, We want to help you grow, change, develop and achieve your life goals. While we may sometimes challenge you toward your life purpose and goals, You are responsible for your life, and you'll make the choices about what actions to take and what we work on together. We’re excited about partnering with you on this journey. We would like to be your Empowering Life-Coach to Help You Achieve Your Dreams & Thrive in Your Life! 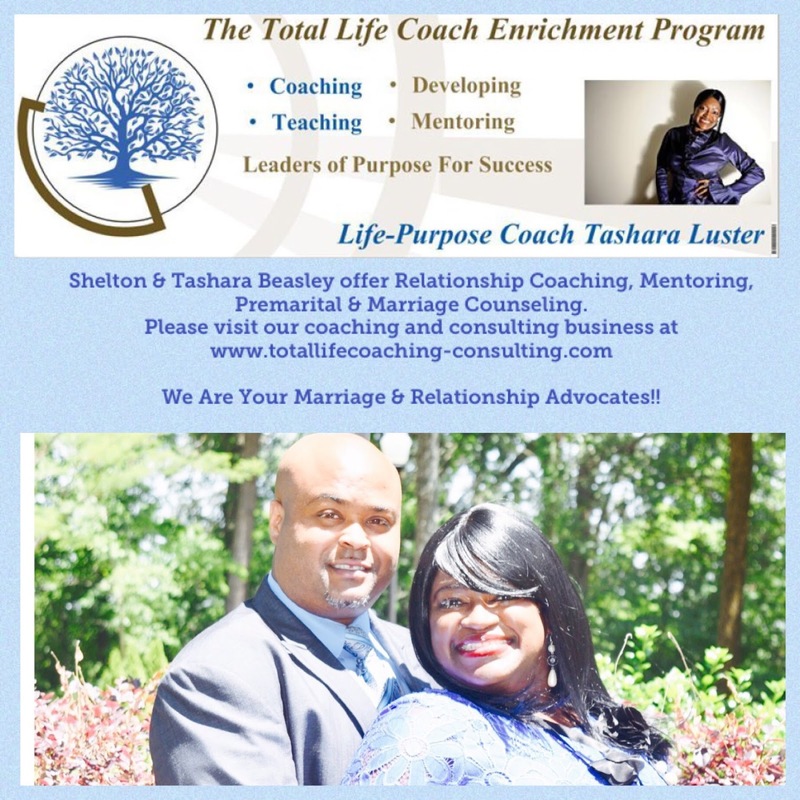 Shelton & Tashara Beasley offer Relationship Coaching, Mentoring, Life-Coaching, Business-Consulting, Ministry Coaching, Grief Counseling, Addiction & Substance Abuse Recovery, Author/Book-Writing Coaching, Premarital & Marriage Counseling, & So Much More! The Husband Challenge! Calling All Husbands to “Express Your Love for Your Wife” by recording a 1 to 2 minute video expressing your love for your wife & what she means to you. Then post it to show the world that real love & great marriages still exist and that men are more than capable of expressing their love for their wife to the world! An Empowering Message for Singles on Learning from your dating mistakes, not repeating bad relationship habits, & finally getting the love you want & deserve!